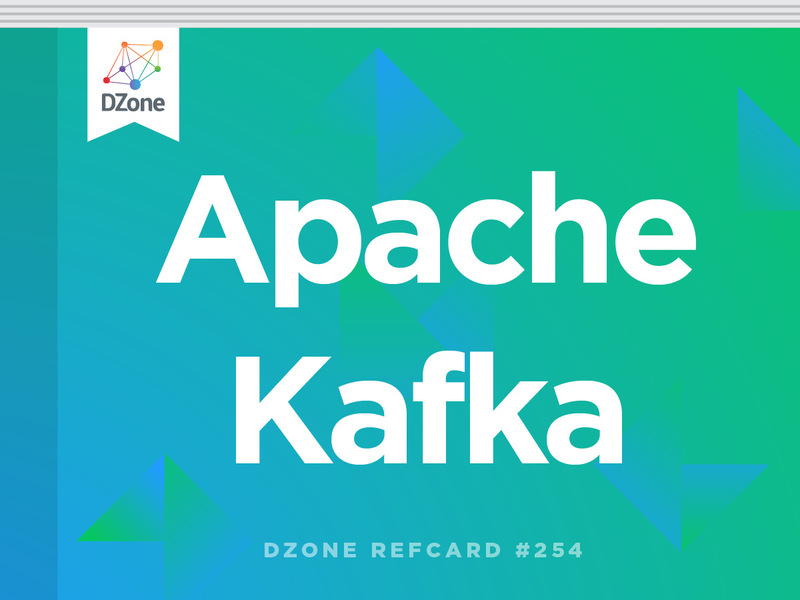 Download this new Refcard to get started with Apache Kafka. Learn more about its background, steps to run the quickstart script, components, and how to connect REST APIs. Two trends have emerged in the information technology space. First, the diversity and velocity of the data that an enterprise wants to collect for decision-making continue to grow. Such data include not only transactional records, but also business metrics, IoT data, operational metrics, application logs, etc. Second, there is a growing need for an enterprise to make decisions in real time based on that collected data. Finance institutions want to not only defect fraud immediately, but also offer a better banking experience through features like real-time alerting, real-time recommendation, more effective customer service, and so on. Similarly, it’s critical for retailers to make changes in catalog, inventory, and pricing available as quickly as possible. It is truly a real-time world. Before Apache Kafka, there wasn’t a system that perfectly met both of the above business needs. Traditional messaging systems are real-time, but weren’t designed to handle data at scale. Newer systems such as Hadoop are much more scalable, but were mostly designed for batch processing. Apache Kafka is a streaming platform for collecting, storing, and processing high volumes of data in real-time. As illustrated in Figure 1, Kafka typically serves as a central data hub in which all data within an enterprise are collected. The data can then be used for continuous processing or fed into other systems and applications in real time. Kafka is in use by more than 30% of Fortune 500 companies across all industries. Kafka was originally developed at LinkedIn in 2010, and became a top level Apache project in 2012. It has three main components: Pub/Sub, Kafka Connect, and Kafka Streams. The role of each component is summarized in the table below. Storing and delivering data efficiently and reliably at scale. Kafka Connect Integrating Kafka with external data sources and data sinks. Kafka Streams Processing data in Kafka in real time. High throughput: Each server is capable of handling 100s MB/sec of data. High availability: Data can be stored redundantly in multiple servers and can survive individual server failure. High scalability: New servers can be added over time to scale out the system. Easy integration with external data sources or data sinks. It’s easy to get started on Kafka. The following are the steps to run the quickstart script. After step 5, one can type in some text in the console. Then, in step 6, the same text will be displayed after running the consumer. Defines a logical name for producing and consuming records. partition Defines a non-overlapping subset of records within a topic. offset A unique sequential number assigned to each record within a topic partition. record A record contains a key, a value, a timestamp, and a list of headers. broker Servers where records are stored. Multiple brokers can be used to form a cluster. Figure 2 depicts a topic with two partitions. Partition 0 has 5 records, with offsets from 0 to 4, and partition 1 has 4 records, with offsets from 0 to 3. In the above example, both the key and value are strings, so we are using a StringSerializer. It’s possible to customize the serializer when types become more complex. For example, the KafkaAvroSerializer from https://docs.confluent.io/current/schema-registry/docs/serializer-formatter.html allows the user to produce Avro records. The following code snippet shows how to consume records with string key and value in Java. Records within a partition are always delivered to the consumer in offset order. By saving the offset of the last consumed record from each partition, the consumer can resume from where it left off after a restart. In the example above, we use the commitSync() API to save the offsets explicitly after consuming a batch of records. One can also save the offsets automatically by setting the property enable.auto.commit to true. log.retention.hours The number of hours to keep a record on the broker. log.retention.bytes The maximum size of records retained in a partition. In the above example, the data in the source file test.txt is first streamed into a Kafka topic connect-test through a file source connector. The records in connect-test are then streamed into the destination file test.sink.txt. If a new line is added to test.txt, it will show up immediately test.sink.txt. Note that we achieve the above by running two connectors without writing any custom code. The following is a partial list of existing connectors. A more complete list can be found at https://www.confluent.io/product/connectors/. 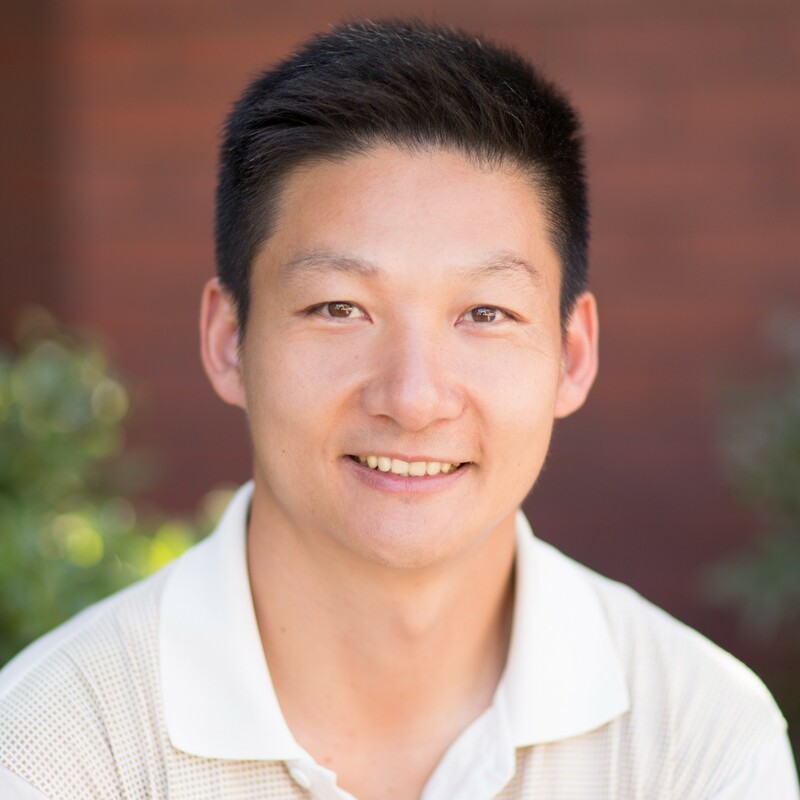 Connect is primarily designed to stream data between systems as-is, whereas Streams is designed to perform complex transformations once the data is in Kafka. That said, Connect does provide a mechanism to perform some simple transformations per record. The following example shows how to enable a couple of transformations in the file source connector. In production, Connect typically runs in distributed mode and can be managed through REST APIs. The following table shows the common APIs. The most common way of using Kafka Streams is through the Streams DSL, which includes operations such as filtering, joining, grouping, and aggregation. The following code snippet shows the main logic of a Streams example called WordCountDemo. The above code first creates a stream from an input topic streams-plaintext-input. It then applies a transformation to split each input line into words. After that, it groups by the words and count the number of occurrences in each word. Finally, the results are written to an output topic streams-wordcount-output. The following are the steps to run the example code. There are two key concepts in Kafka Streams, KStream and KTable. A topic can be viewed as either of the two. Their differences are summarized in the table below. Concept Each record is treated as an append to the stream. Each record is treated as an update to an existing key. Usage Model append-only data such as click streams. Model updatable reference data such as user profiles. When a topic is viewed as a KStream, there are two independent records and thus the sum of the values is 7. On the other hand, if the topic is viewed as a KTable, the second record is treated as an update to the first record since they have the same key "k1". Therefore, only the second record is retained in the stream and the sum is 5 instead. Create a new KStream that consists of all records of this stream that satisfy the given predicate. Transform each record of the input stream into a new record in the output stream (both key and value type can be altered arbitrarily). Group the records by their current key into a KGroupedStream while preserving the original values. Join records of the input stream with records from the KTable if the keys from the records match. Return a stream of the key and the combined value using ValueJoiner. Join records of the two streams if the keys match and the timestamp from the records satisfy the time constraint specified by JoinWindows. Return a stream of the key and the combined value using ValueJoiner. * t indicates a timestamp. Count the number of records in this stream by the grouped key and return it as a KTable. Combine the values of records in this stream by the grouped key and return it as a KTable. Further group the records by the timestamp and return it as a TimeWindowedKStream. A similar set of operations is available on KTable and KGroupedTable. See details at http://kafka.apache.org/documentation/streams/. While processing the data in real time, a KStreams application locally maintains the states such as the word counts in the previous example. Those states can be queried interactively through an API described in docs.confluent.io/current/streams/developer-guide/index.html#interactive-queries. This avoids the need of an external data store for exporting and serving those states. Failures in the brokers or the clients may introduce duplicates during the processing of records. KStreams provides the capability of processing records exactly once even under failures. This can be achieved by simply setting the property processing.guarantee to exactly_once in KStreams. More details on exactly-once processing can be found in https://www.confluent.io/blog/exactly-once-semantics-are-possible-heres-how-apache-kafka-does-it/. KSQL is an open source streaming SQL engine that implements continuous, interactive queries against Apache Kafka. It’s built using the Kafka Streams API and further simplifies the job of a developer. Currently, KSQL is not part of the Apache Kafka project, but is available under the Apache 2.0 license. To see how KSQL works, let’s first download it and prepare some data sets. Next, let’s define the schema of the input topics. Similar to Kafka Streams, one can define a schema as either a stream or a table. Note that in the above, each schema always contains two built-in fields, ROWTIME and ROWKEY. They correspond to the timestamp and the key of the record, respectively. Finally, let’s run some KSQL queries using the data and the schema that we prepared. Note that in step 2 above, the query pageviews_female runs continuously in the background once it’s issued. The results from this query are written to a Kafka topic named pageviews_female. More examples of KSQL can be found at https://github.com/confluentinc/ksql. When a topic is viewed as a KStream, there are two independent records and thus the sum of the values is 7. On the other hand, if the topic is viewed as a KTable, the second record is treated as an update to the first record since they have the same key \"k1\". Therefore, only the second record is retained in the stream and the sum is 5 instead.